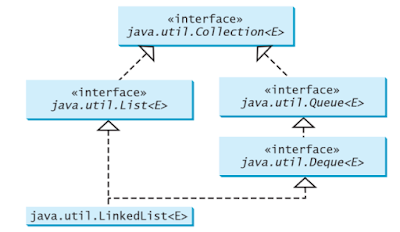 The JDK provides implementation of several data structure in Java collection framework e.g. ArrayList is a dynamic array, LinkedList represents a linked list, HashMap represents hash table data structure, and Queue interface represent queue data structure. Btw, If you are not familiar with data structure itself then see Introduction to Data Structures & Algorithms in Java, a good course to start with the essential data structure in Java. The Queue data structure allows you to process elements in the first in first out order and that's why it is also known as FIFO data structure. In order to provide first in first out functionality, it allows you to insert data at one end and delete data from other ends, also known as consuming data. If you need to process objects in the FIFO order you can use a Queue to store them. Since Queue is an interface you cannot use it directly, either you need to use its implementation classes. JDK provides two implementations of Queue interface, a PriorityQueue and LinkedList. A PriorityQueue allows you to consume elements based upon their priority, very useful to implement a TODO list where highest priority item should always be at the head and consumed first. On the other hand, a LinkedList is a classical linked list but you can use it as Queue as well. In order to use Queue, you need to be familiar with essential methods to perform basic operations e.g. adding elements into a queue, consuming elements from a queue or checking elements without consuming. Any Queue implementation provides two sets of a method to perform this basic operation, first set of methods are derived from java.util.Collection interface because Queue is also a Collection and second set of methods is added to simulate queue data structure behavior. For example, to add an element to the Queue you can use either add() or offer() method and to remove an element you can use remove() or poll() methods. The only difference between two sets of the method is that methods from Collection throw Exception when they fail but other sets of methods e.g. offer(), poll() and peek() returns null or false when they fail. If you are not familiar with Java Collection framework then Programming Java for Beginners - The Ultimate Java Tutorial is a good place to start with. Let's see some of the essential methods from Queue interface to perform basic operations. As I told you before, methods are divided into two categories, one which throws Exception and other which return null or false. You can use the one which suits your requirements. add(E e): inserts the element e to the tail of the queue. If there is no space available because of capacity restrictions, IllegalStateException is thrown. remove(): removes and returns the head (the first element) of the queue. If the queue is empty, NoSuchElementException is thrown. element(): just returns the head of the queue, without removing it. If the queue is empty, again NoSuchElementException is thrown. offer(E e): adds the element e to the tail of the queue. If the insertion is successful the method returns true, otherwise, it returns false. Generally, if there are capacity bounds, it is preferred to use add method instead. poll(): like remove() function, it retrieves and removes the head of the queue. The only difference from remove() is that poll() operation returns null when the queue is empty. peek(): just like element() operation it retrieves and returns the head of the queue, without removing it. In this situation when the queue is empty, it returns null. I generally prefer to use the methods from Queue interface i.e. offer, poll and peek because they don't fail with Exception and they improve readability. If you see add() you are not sure whether you are dealing with a Queue or Collection, but if you see the offer() you know that you are dealing with a Queue. Btw, If you haven't read it yet then read Effective Java 3rd edition for more of such practical tips on Java programming. Here is a simple example of using Queue interface in Java. This class behaves same as Queue data structure e.g. you can do FIFO processing. If you understand that it would be very easy to use this interface and its different implementation class e.g. PriorityQueue, LinkedList, and others. It is worth to mention that FIFO (first-in-first-out) is the most common way to order the elements in the Queue, but that's not the only order. You have PriorityQueue on which you can order element based upon order defined by their Comparator or Comparable, it will guarantee that head will always be the lowest element. That's all about how to use Queue in Java. You have the luxury to choose between two sets of methods, one which throws an exception and other which returns null and you can choose depending on your requirements. You can not only use the Queue interface to impose FIFO order of processing but also use different implementations e.g. PriorityQueue to process elements based upon order defined they their Comparator. How to use ArrayList and LinkedList in Java? How to use HashMap in Java? Difference between HashSet, TreeSet, and LinkedHashSet in Java?